On Nov. 21, the Wellness Education Centre hosted their Healthy Sleep Week, as one of their ongoing themed weeks they hold throughout the year. The Wellness Education Centre was located in the concourse, along with ACCQ Sleep Labs, giving tips, referrals and kits to students to promote healthy sleeping habits and enhance the student experience. Many students tend to neglect sleep in the name of a social life, assignments or studying, which has more of a detrimental affect than a positive one. Students and adults in general should be getting around seven to nine hours of sleep a night. Sarina Wheeler, the manager of wellness education, encourages students to attend these events in order to gain knowledge about the benefits of getting a good night’s sleep, as well as how failing to do so can impact their academic performance. “We have run sleep week last year. Wellness education is just in its second year with it’s holistic approach with the seven dimensions of wellness, so we theme wellness education weekly. There’s a new one every week and sleep is a big enough issue for students that we run it twice a year,” Wheeler said. ACCQ Sleep Labs was present during Healthy Sleep Week and are a business that operates locally. ACCQ was in the concourse giving referrals and sleep tips to students, as going to ACCQ is covered by OHIP. They also encouraged any students with concerns to get an assessment from the lab. Dana Tadross, who works in Patient Education & Community Outreach Services at ACCQ, was eager to help students understand the importance on rest and to help them improve in any areas they may lack. The benefits of sleep are endless; as it is scientifically proven that not getting enough sleep causes deficiencies both physically and mentally and students need the most sleep for brain function, but tend to sleep the least. “We gave out information packages and we think students were quite receptive and wanted to learn more about sleep, so we would be happy to help out at all and told them to call us at any time,” Tadross said. The Wellness Education Centre runs these themed education events each week throughout the semester and is currently focusing on stress and anxiety education. 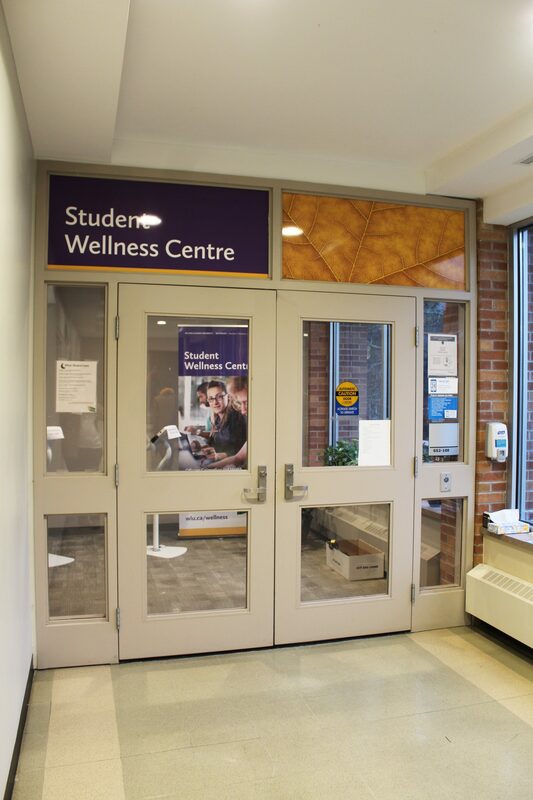 “The Wellness Education Centre is the educational branch of the Student Wellness Centre. We want students to learn mechanisms themselves, so they can be better at understanding how they are more than just a student. We have our minds and our bodies to take care of and all the dimensions of health interact [with one another],” Wheeler said.